Desi Smith/Staff Photo. 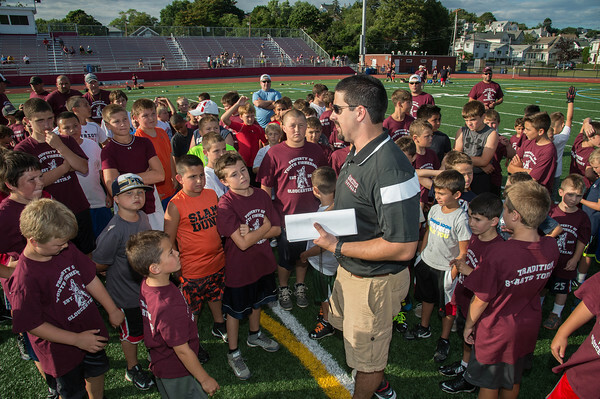 Gloucester High School football head coach Tony Zerilli talks to a goup of athletes at the start of the Gloucester Youth Fishermen mini-camp held Thursday afternoon at New Balance Track and Field at Newell Stadium. July 23,2015.